Protect your Bitcoins with high security log in. To login, you need one-time code from mobile phone or printed paper in addition to your password. 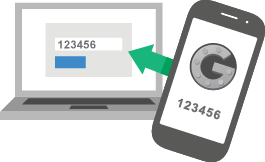 LocalBitcoins two-factor authentication works with mobile apps (Android, iOS, Windows Mobile) or printed paper codes. Two-factor authentication codes are very hard to steal, unlike passwords. It takes only few minutes to set it up! LocalBitcoins remembers your web browsers and verifies logins are coming from the same browser. If an unknown web browser is encountered, an email confirmation is required before the login can proceed. Prevent logins from unauthorized browsers. Do not use Tor browser. Using a Tor browser puts you in the risk getting your bitcoins stolen. Do not get involved in transactions outside the LocalBitcoins. Do not use the website from a shared computers or devices, like ones in public internet cafes, as they may have keyloggers installed to steal your user credentials. When logging in to the website, read the browser address bar and check that you are logging into localbitcoins.com and not a phishing domain. Make sure the spelling is localbitcoins.com exactly, as the phishers, especially email phishers, often register domain names resembling localbitcoins.com domain name. (ie: localbiRcoins.com). Do not click LocalBitcoins Google advertisements. If possible, when accessing Bitcoin wallets, do this from a dedicated computer you have reserved for financial tasks only. Do not use this computer for other tasks. Do not install third party software, pirated software or browser addons you cannot trust 100%. This greatly reduces the risk of getting Bitcoin stealing malware infection on the computer. Fastest & Easiest Way to Buy and Sell Bitcoins. Safe & Secure! Local Bitcoins. Simple Setup. Best Prices. Fast & Secure. WorldWide Setup & Support.